Sherlock Holmes meets Captain Nemo in Book 2 of the highly fanciful "missing authors trilogy" by Joseph W. Svec. The other books are Sherlock Holmes and the Round Table Adventure and Sherlock Holmes and The Adventure of Grinning Cat. 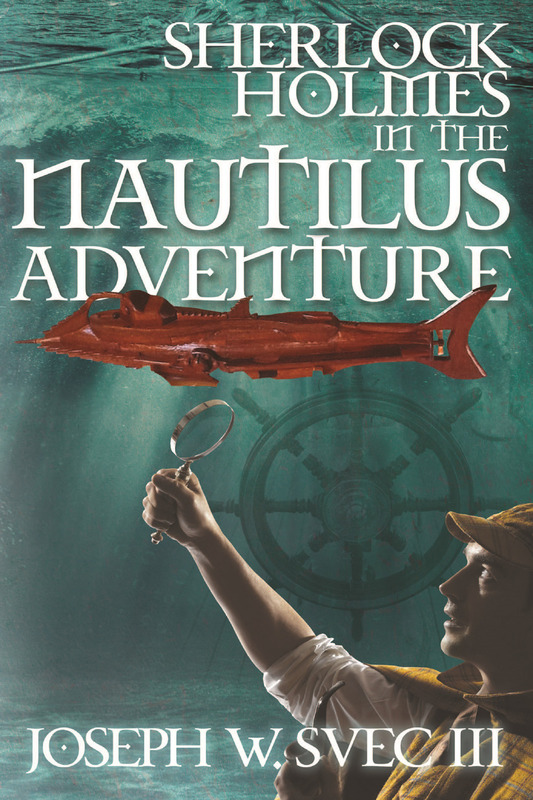 This fascinating tale takes Sherlock Holmes and Dr. Watson on an amazing undersea adventure to find and rescue a famous author, who has been kidnapped. Along the way there are hidden clues, lost civilizations, danger, romance, humour, a volcanic eruption, a good deal of seaweed tea, and a more than one surprising plot twist, not to mention saving the world. It all begins, when a tall bearded gentleman enters 221-B Baker Street and says, "Hello, my name is Captain Nemo, of the submersible vessel the Nautilus, I would like to engage your services in locating a missing person. His name is Jules Verne.